Check out these dapper folk. This photo was taken at Scoonie Brae in Leven 84 years ago. But we have no more information about the band or where they were playing. As always, we’d like to feature your old photographs on this site. 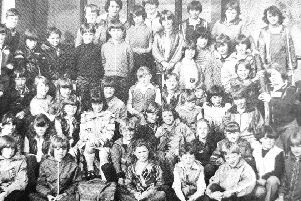 You can share them with us by emailing a scanned photograph as a jpeg file to mailnews@fifetoday.co.uk or send us a copy to 23 Kirk Wynd, Kirkcaldy, KY1 1EP.